I've been trying to work on old unfinished projects but keep stopping. I'm starting to wonder if they have remained unfinished because I really don't like them that much. Or perhaps I get so involved with them that the enthusiasm and vigor burns out quickly and before the item gets finished. Nonetheless, I am working on completing a few new (old) things to add to my pile. 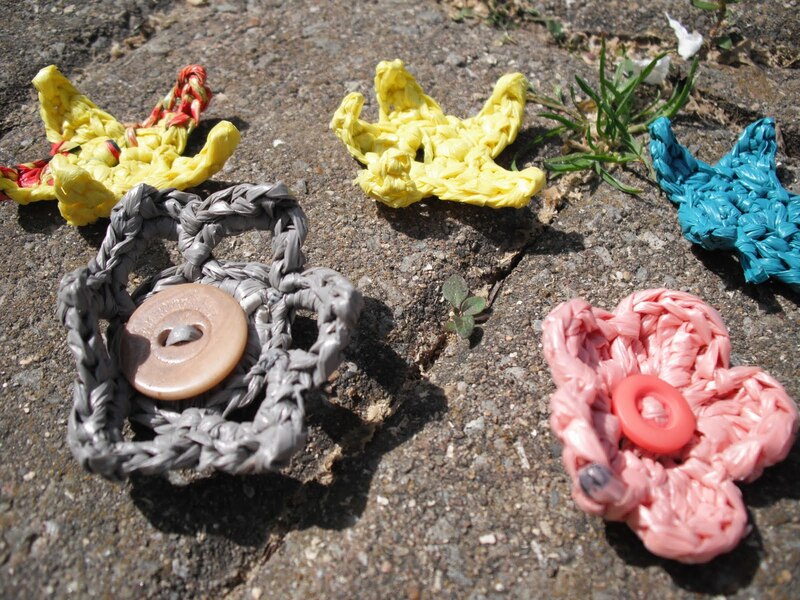 Here are some little stars and flowers made out of plarn. I'm trying to figure out a way to make the star points not curl. This is a coiled basket out of wool yarn. 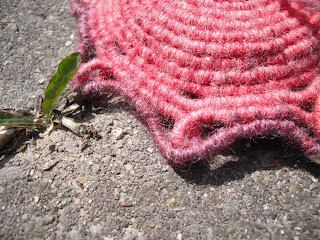 Here you can see the detail of the last few rows I'm working on. 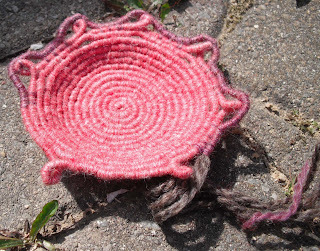 I probably never mentioned it but I really enjoy coiling. All you need is a few supplies and you can have a brand new item. My favorite part of it has to be how you can start and stop often, unlike some other activities. And did I mention it's easily transported? No need to lug around a big tote bag, sewing machine or loom. Which I think is very important when you have children who don't stay asleep or want to crawl all over you at random times. Also, today I have been blessed with a sunny, bright cheerful day with little wind. I might actually get to take some photos of a few purses that need listed on etsy. Last time I took photos the weather was not nice and they came out terrible.